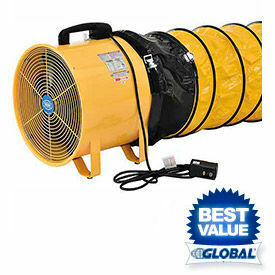 AirFoxx® Air Movers, Floor Dryers, & Utility Blowers For Construction Sites, Warehouses, Worksites, Workshops And More. 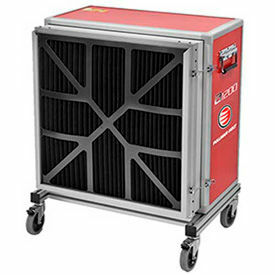 These high velocity air movers are perfect for cooling, carpet drying and other air moving applications. Made using high impact roto-molded polyethylene plastic housing. 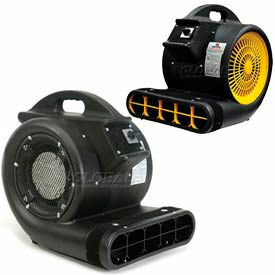 Floor dryers offer 1- 2- and 3-speed fan controls and various position air flow for ground. 45° and 90° circulation. Heavy duty motor offers quiet operation and allows outdoor use. 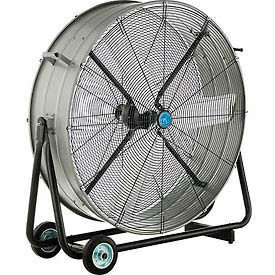 Some units provide protective safety grill enclosed motor and metal fan blades and include a 25'L power cord. Up to 2 HP. Limited Warranty. Pullman Holt air scrubbers are truly unique. Standard motor/blowers are coupled with HEPA filters that are individually tested and certified at 99.97% efficiency at .3 microns. The primary filter is washable and an indicator light warns when it is time to clean or replace both filters. Equipped with two (2) locking wheels for superior transportation and stability. An optional discharge manifold for ducting is available on the A1200 model. Specs vary by model. Choose from the quiet upwards facing A600 or the larger, more powerful A1200 version. With either choice, you know you will be getting an air mover that out performs other scrubbers on the market today. 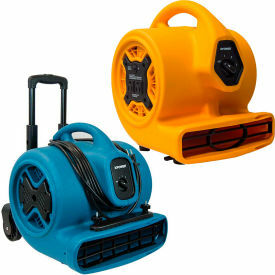 Boss Cleaning Equipment Three-Speed Blower Fans Are Used For Floor Drying In A Variety Of Environments. 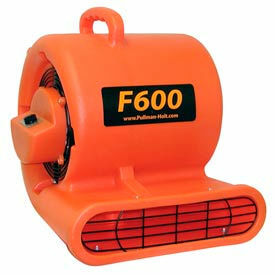 Blower fans are made using molded polyethylene housing for lasting durability and strength. 1/2 HP motor offers powerful and efficient operation, with versatile operation up to 2500CFM. 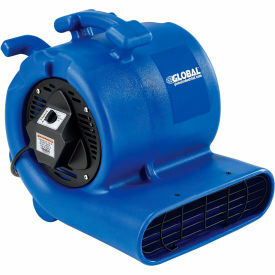 Blower fans include three-position switch with simple graphics for selecting operating speeds. Offset roto-molded carrying handle distributes motor weight evenly for easy transport. Operates in 4 positions. 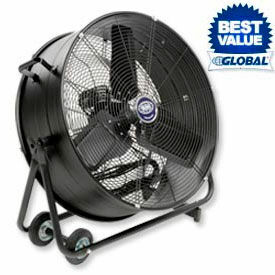 Each blower fan is built with four non-skid rubber feet for stable operation without use of a stand. Built-in cord wrap. Total weight is 32 lbs. Industrial Dehumidifiers Remove Excess Moisture For Flood Recovery And Restoration Applications In Commercial And Domestic Environments. 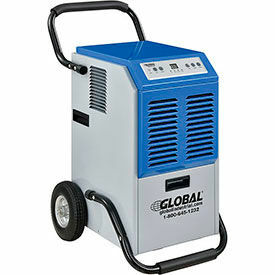 Industrial Dehumidifiers feature durable steel or aluminum compact housing for long lasting and heavy use. Casters provide easy maneuverability for user convenience. Some models include handles for added portability. 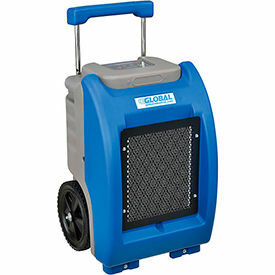 Available dehumidification ranges are 17 to 124 pints per day. Replacement filters sold separately. Dimensions vary per model. Polyethylene Commercial Dehumidifiers Support Fire and Flood Maintenance For Residential, Commercial, Industrial, and Other Related Applications. The low grain refrigerant system quickly eliminates moisture, improving operation and drying efficiency for carpets, drywall, and more. The polyethylene construction provides impact and corrosion resistance for harsh working conditions. The streamlined profile with integrated handles allows convenient unit stacking and steering maneuverability. The drain hose with quick-connect, on-demand condensate pump purge minimizes required maintenance for user convenience. The rubber wheels allow ergonomic unit mobility and transport over all surface types. Features a digital meter for job time recording, vents for warm air ventilation, and electronic controls for operation ease. Includes a 25'L power cord with integrated cord wrap for storage. ETL, UL, or CSA approved. Systems and dimensions vary per model.